As a kid growing up in Scotland, Roald Dahl's books were one of the few that I chose to read as a kid. Great stories such as 'Charlie and The Chocolate Factory' and 'James and The Giant Peach' were a couple of my favourites alongside another one of Dahl's famous novels, 'The BFG'. Steven Spielberg is my favourite director of all time, creating some of my favourite movies of all time like 'Jaws' and 'Jurassic Park'. You could only imagine my excitement when I found out that Spielberg would be taking control of a live action BFG movie. 10 year old Sophie (Ruby Barnhill) is mysteriously abducted and taken to a strange land. Scared at first, she soon realises that she has been taken by a big, friendly giant who is caring and gentle, unlike the other giants who live amongst him. 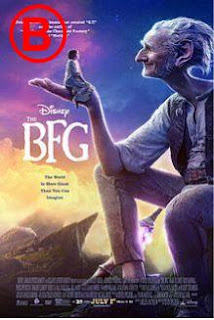 The other giants pick on the BFG (Mark Rylance) and pose a threat to not only Sophie but children all over the world. The unlikely duo now must travel to get help from a higher power before it is too late. In an ideal world, this combination would lead to what would be one of my favourite movies of the year. However despite nostalgic feelings and really rooting for this to be another one of Spielbergs classics, it didn't quite happen. Maybe the story doesn't resonate with me as much as it used to. In no way is that saying that the film is bad however. Just not quite reaching the levels it could have. When you have an adaptation and it is being brought to life by one of films greatest ever directors, there is a level of expectation already there and I think that 'The BFG' definitely suffers from this. 'The BFG' most certainly isn't a bad movie. It actually works really well as a family fantasy movie that does cater very well to a younger audience. The characters are enjoyable and fun to watch throughout the runtime. Spielberg creates a great world where the giants roam with quaint elements that are charming to both younger and more mature viewers. 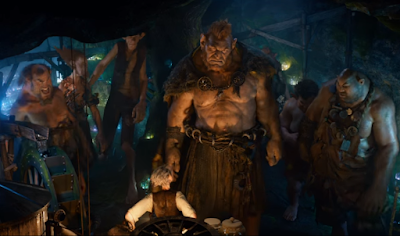 The home of the BFG is interesting enough as he makes use out of anything, even boats for human use. The land where the dreams roam is also enchanting and really beautiful to the eye which will keep the audiences attention. Mark Rylance truly shines as the giant in what seems to be a blossoming partnership with Steven Spielberg after his Oscar winning performance in Bridge of Spies. The 5ft 7 actor is transformed into a 20+ ft giant and he brings that feeling of humanity to the role that makes his performance something to marvel at. Rylance also shines with his voice work as he does an incredible job as the stumbling giant who wants to speak correctly but it just doesn't end up coming out as he had intended. He brings heart to the role and makes you care for the giant as he shows his true kind and caring nature. 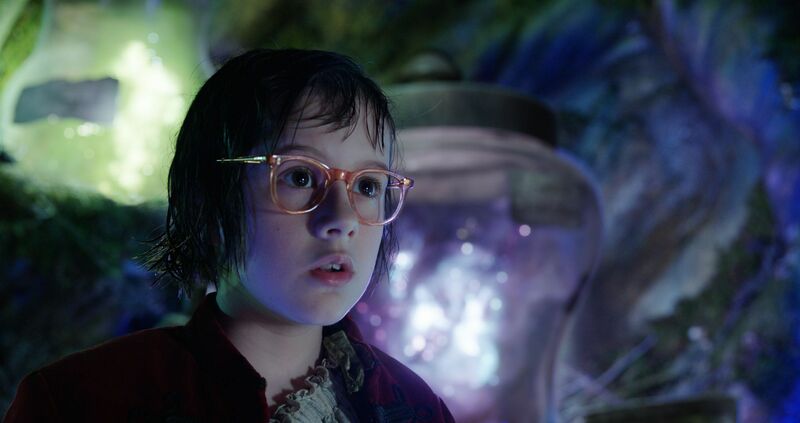 Ruby Barnhill is the only human character who appears in the whole runtime and deserves credit for her performance. It's never easy for child actors and for her to produce a solid performance without having lots to interact or bounce off of is a credit to the young actress. It's not a completely mesmerising performance but Barnhill captures the innoncence of Sophie as a helpless, kind hearted and brave girl who is in a world unlike any other. Bizzarely I feel that the problem with the film comes with the story. At times the pacing wan't great as it also has its moments where nothing really that exciting is happening. In a fantasy film like this, it probably could have done with some more adventure of the world that we were in. Instead we spend most of it in The BFG's home which is nice but you'd like to explore the world even more. The film also suffers in the final act as it really seems to slow down for the time being as Sophie and her giant friend look for help. This was probably the weakest part of the film for me as it wasn't really as exciting or humerous like the film had been before. It is a fine addition to Spielberg's list of films but won't be making anyones 'Best of' lists any time soon. It is a good family film that does seem to be catered to those who are younger which may be the reason for this. 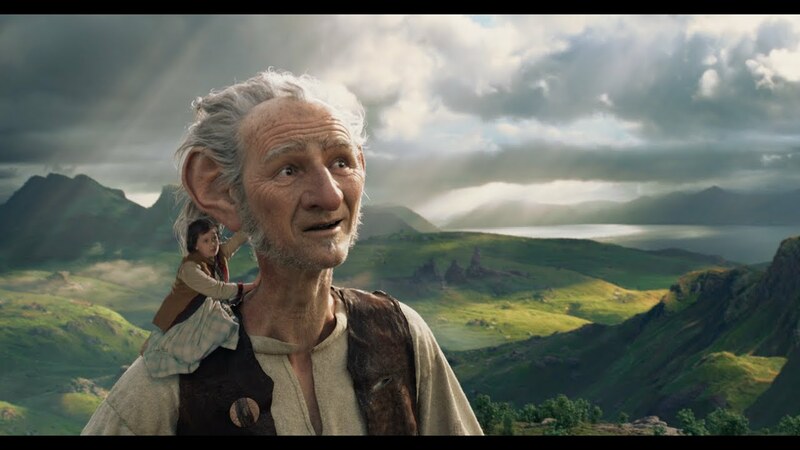 However if you are looking for a film that the whole family will enjoy, 'The BFG' should create an enjoyable experience that will have you satisfied. An enjoyable family film with Mark Rylance really shining. So have you seen 'The BFG'? If so what did you think of it? I hope this review was useful for if you were planning on seeing this movie. Once again, thank you for taking the time to read my review, it is much appreciated!